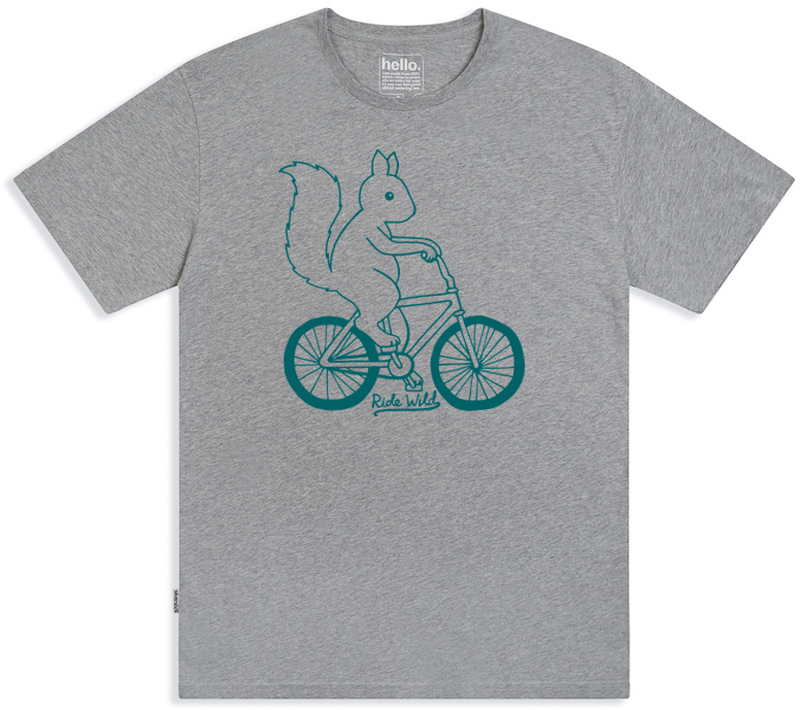 Inspired by riding the trails that run through the South Downs National Park, this grey marl t-shirt features a charming squirrel motif riding a bike. 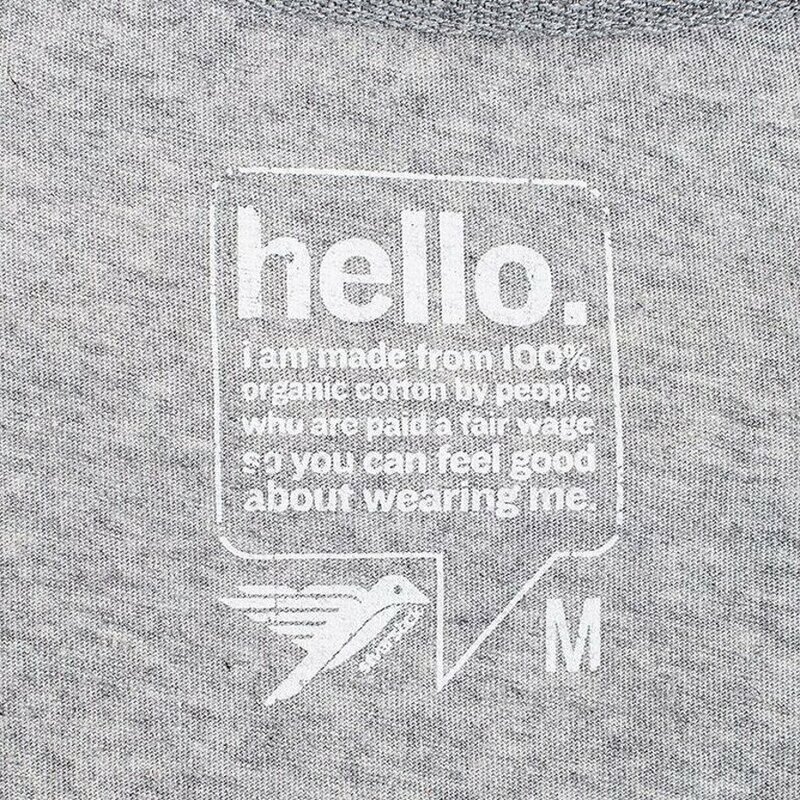 It is made from 100% Organic combed jersey cotton that is certified by the Global Organic Textile Standard in an accredited factory in Portugal. 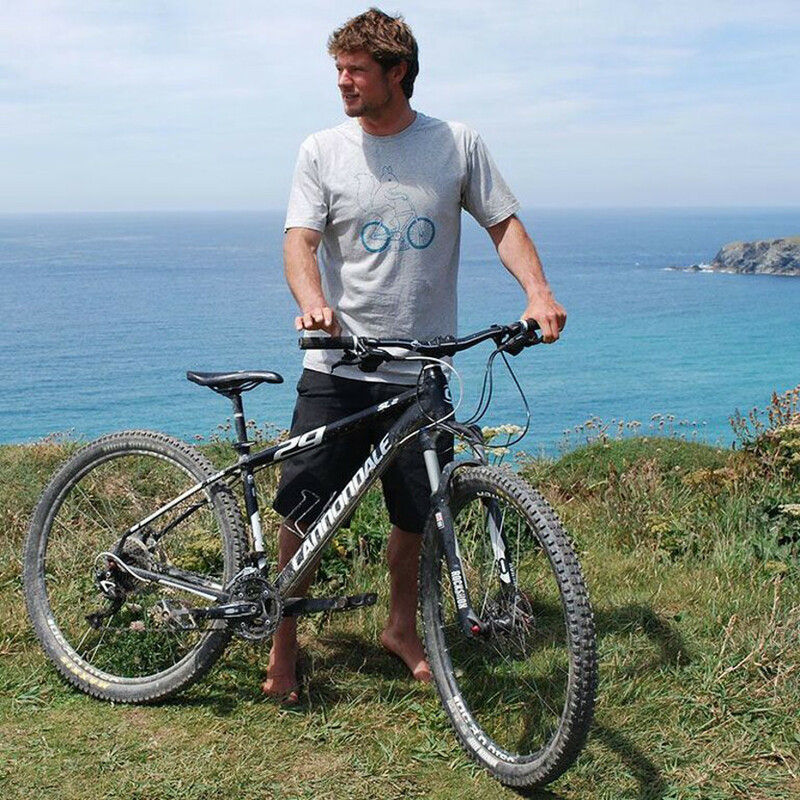 It is also hand screen printed in the UK using water based, azo and chlorine free clothing dyes. Recommended to be washed at 30°. Fabric Weight 180gms. 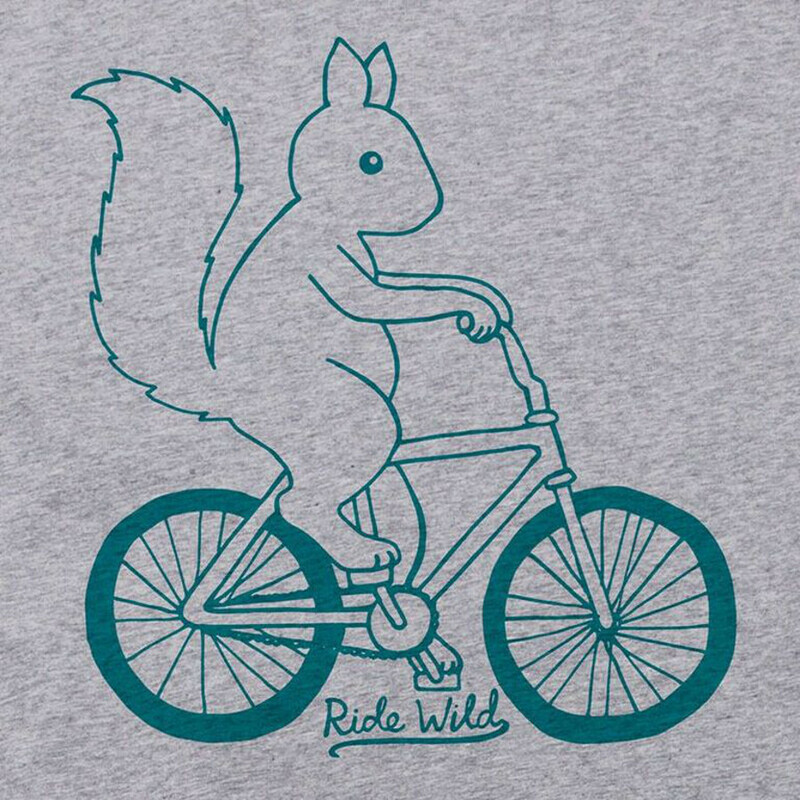 The Silverstick Mens Ride Wild Organic Cotton T-Shirt - Grey Marl product ethics are indicated below. To learn more about these product ethics and to see related products, follow the links below. 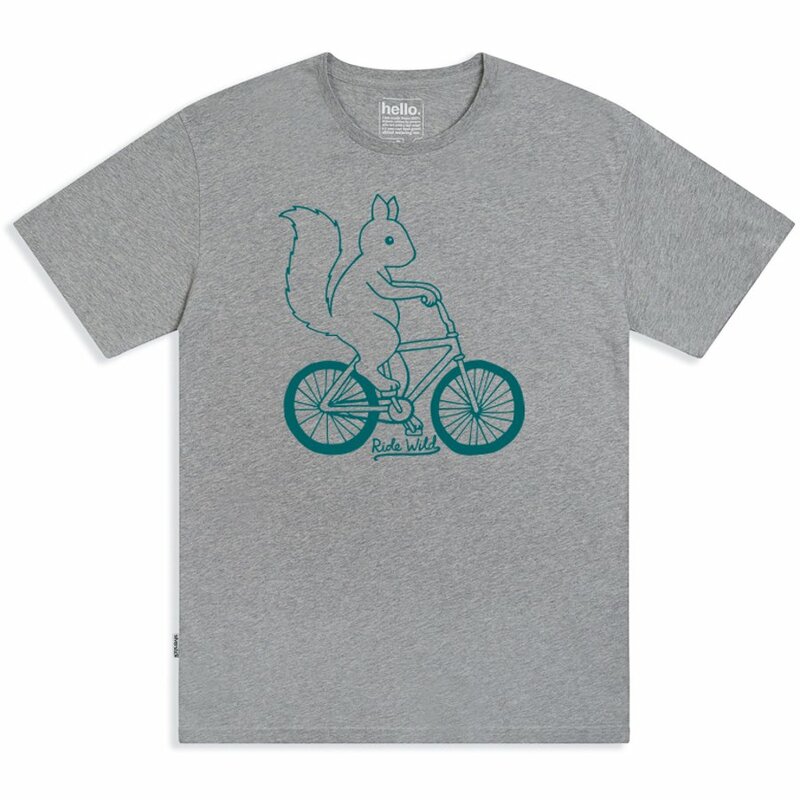 There are currently no questions to display about Silverstick Mens Ride Wild Organic Cotton T-Shirt - Grey Marl.